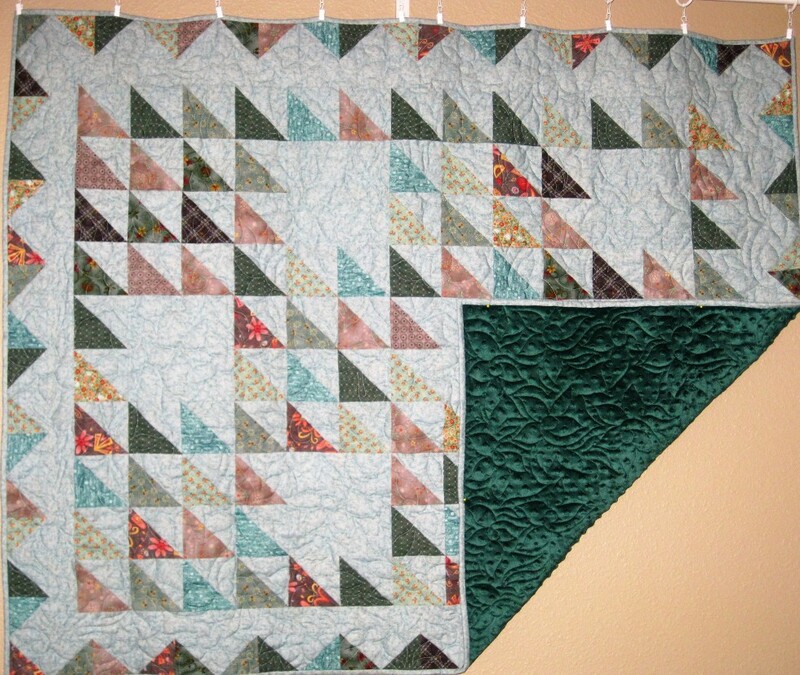 This is my 26th quilt, and one made entirely from the scraps of some of my other quilts, except for the minky backside. I cut 4.25" strips for the HSTs and placed them in the North by Northwest pattern (aka Hunter's Star) to make this 47"x61" lap quilt. The pattern I used is from the book 'Antique to Heirloom Jelly Roll Quilts' by Pam & Nicky Lintoff. I finished the piecing in July 2018, sent it off to the free-motion long-arm quilter in October, got it back in December, and finished the binding in January 2019. That's a long slog for a simple scrappy lap quilt! But since I love quilting, I finished 4 other scrappy baby quilts during the down time, so it's all good! 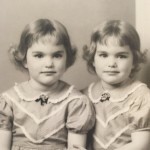 Posted by Peggy at Bothtwins, Feb. 5, 2019.